I filmed this video while I was pregnant. This goes out to all my Makeup Artists and Junkies out there. I still love watching other MUA's What's In My Kit Videos. I filmed a recent update showing you how I'm back to using my Zuca with some really awesome extra accessories and storage. Check it out! If you want to see a detailed product by product what's in my kit video, check out the most recent videos below. Here are some shots of my Zuca. 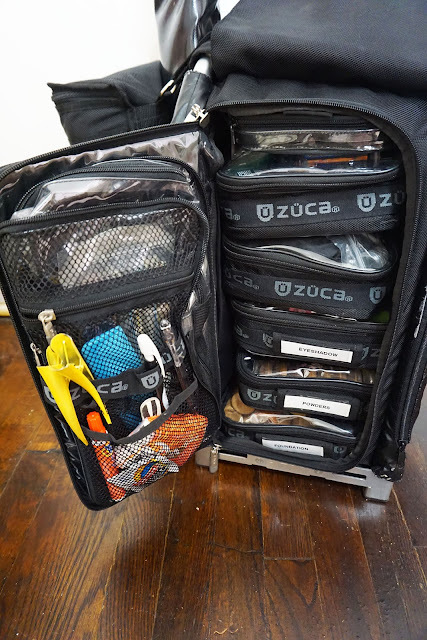 I added additional zuca bags and pouches to maximize space in the stacking main compartment. Top View of Zuca with Black Beauty Caddies on the side and built in seat cushion. You can see that they're attached with velcro straps. 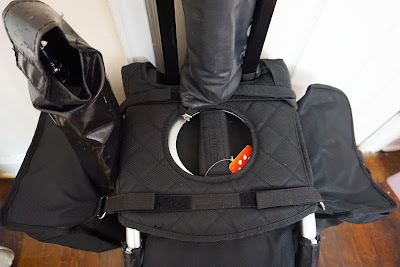 You can still use the Zuca side pockets if you unvelcro the straps. 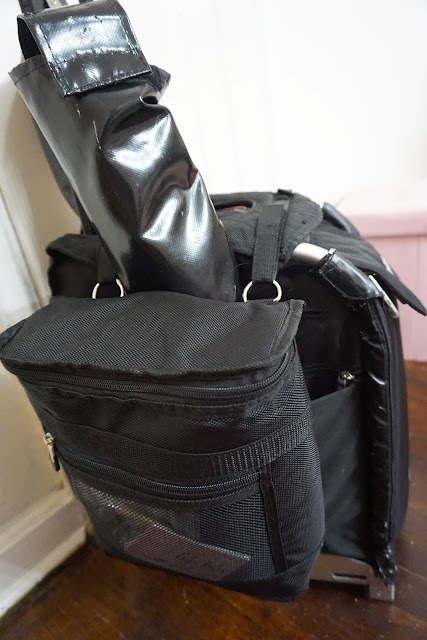 I have my light tripod tucked into the side pocket. This side of the beauty caddy has a buckle with a large compartment where I hold wipes and miscellaneous items. It also has a mesh compartment on the outside for small items you want to see and grab quickly. 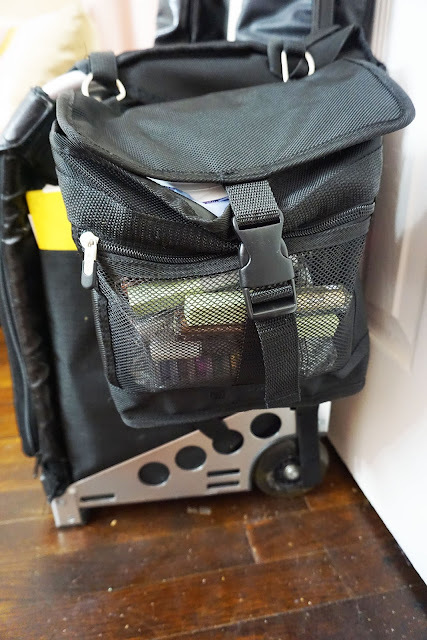 On this side, the beauty caddy has a zipper and an insulated cooler compartment where you can keep drinks, snacks, or makeup products you don't want to melt in outdoor conditions. 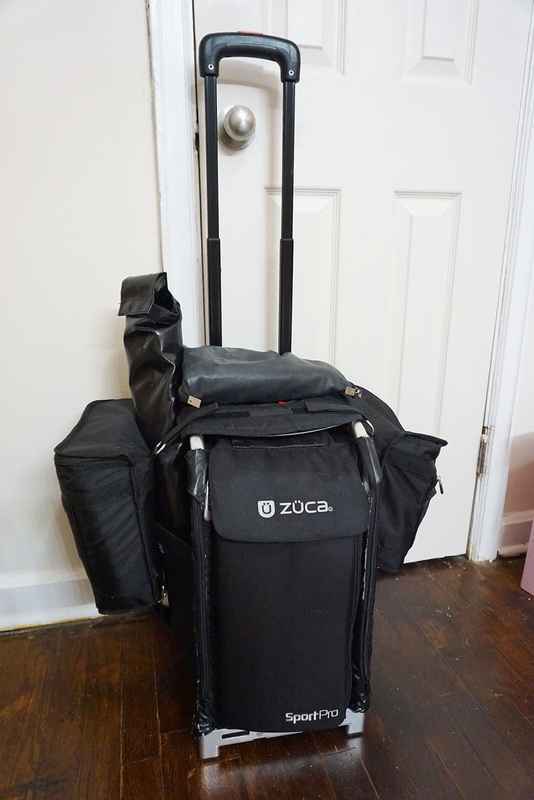 My Traincase - Zuca Sport Pro with Beauty Caddy. Hope you all enjoyed! Stay tuned for my next video in my Makeup Artist Series - How to Correct Match Foundation for You and Your Clients.